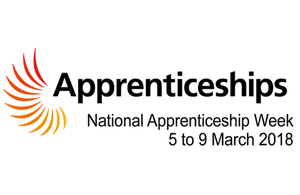 London boroughs are getting involved with a host of activities and events to celebrate National Apprenticeship Week (NAW), which runs from 5 to 9 March 2018 and enters its 11th year. Employers are taking this opportunity to encourage uptake in apprenticeships and the opportunity they provide to build skills and experience in their chosen career path. Whether it’s celebrating existing apprentices who make great contributions to their organisations, highlighting excellent opportunities to learn and earn locally, or raising the profile of apprenticeships as a pathway to a great career, London boroughs are working hard to increase the uptake and availability of local apprenticeship opportunities. Apprenticeships are seen a great way to make sure that all residents have skills that match current and future opportunities in the London labour market, contributing to London’s future prosperity and opening up access to training and skills development for all. With the introduction of the Apprenticeship Levy in April 2017, the government has set an ambitious target of 3 million apprenticeship starts by 2020. Every employer with a pay bill of more than £3 million has 0.5 per cent added to their levy pot. Raising the profile of apprenticeship opportunities available in London boroughs and within the council is vital to achieving this target. London boroughs make significant contributions to the Apprenticeship Levy. The LB Havering are hosting local school events targeted at parents and potential apprentices. There are going to be internal and external speakers as useful case studies to potential apprentices. LB Havering are also holding an event exploring pathways in Health and Social Care, which is expected to attract up to 500 attendees. Find out more about NAW in Havering here. LB Tower Hamlets are hosting an internal ‘Apprentice Awards’ ceremony, celebrating the achievements apprentices have made during their time with the council. Complimenting International Women’s Day on Thursday 8 March, LB Tower Hamlets will be hosting an event looking at potential pathways for women in the council, the underrepresentation of women in certain professions across London and female representation at the board level of many organisations. Find out more about Tower Hamlets Apprenticeships here. The Mayor of Lewisham, Sir Steve Bullock, will be involved in a ‘back to the floor’ event, spending time working alongside apprentices. Lewisham will be focusing on female apprentices in a similar way to Tower Hamlets and in relation to International Women’s Day. Lewisham will also be hosting an Apprentice Awards Ceremony, celebrating outstanding achievements and contributions made by apprentices in their organisation. Find out more about Lewisham’s Apprenticeship offer here. The King’s Cross Construction Skills Centre will be hosting an event to inform potential apprentices of the host of opportunities made available by regeneration and development in the borough. There are also many FE College events in the borough during NAW, which LB Camden has close involvement with. LB Camden are also partnering with the local fire-service to hold school focused events, trying to target as many local schools students as possible with information on opportunities in their borough. LB Greenwich will be hosting two graduation ceremonies celebrating outstanding apprentices working in the council and in local schools. It is also important for LB Greenwich to look outward, hosting a Chambers of Commerce event locally to spread the appetite for apprentices across borough employers. Events are being targeted at local levy payers in particular. Find out more about local opportunities in Greenwich here. This is just a sample of the types of events being run by London Boroughs and the investment they are making in raising the profile of Apprenticeships. You can find out more about what is taking place nationally in the ESFA’s special business update and by checking out the NAW map of events.